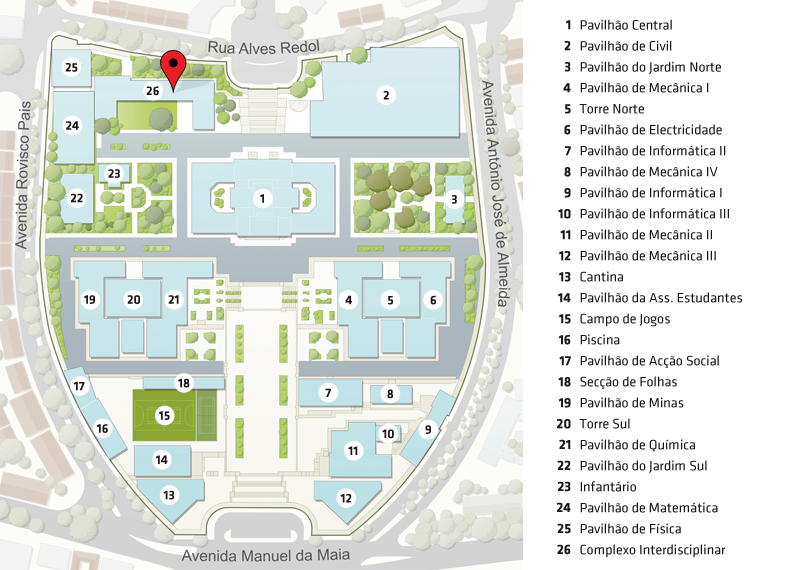 The map below shows the overview of the university campus from Instituto Superior Técnico (IST), Lisboa. You can find our office at the Complexo Interdisciplinar (No. 26) and our laser lab facilities inside the Pavilhão de Física (No. 25), floor -2 (check the conditions of access here). IST is located about 10 mins by car and 30 minutes by public transport from Lisbon Airport. The nearest subway stations are Alameda (green/red line) and Saldanha (blue/yellow line).